Light fuming creates a beautiful colour and takes away the “yellowness” of normal prefinished Oak. 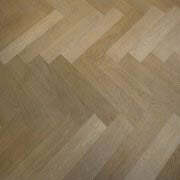 We use a special treatment to finish our light fumed oak that does not change the colour of the fuming. The E214 is exactly the same as the E212T in that it is 15mm thick x 120mm wide x 600mm long and is manufactured with a left and right handed tongue and groove to create the traditional herringbone pattern. 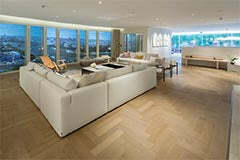 The micro bevel means that each parquet block is defined which adds an attraction to the look and feel of the floor. This is also easier to fit than a prefinished square block as it allows some tolerance if the fitter gets slightly out of alignment. 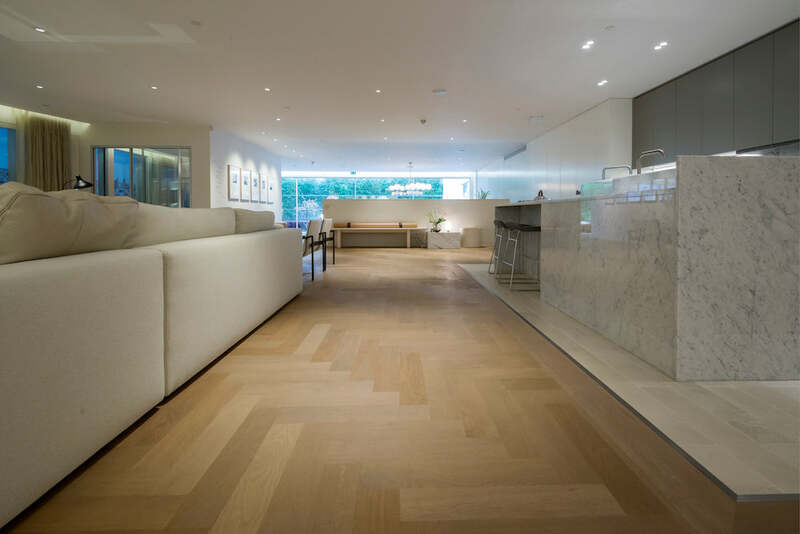 All our engineered parquet block are machined using state-of-the-art German and Italian machinery which then creates the perfect tongue and groove and micro bevel for easy installation. The look will be the same as the pictures seen here as it is our new version of this parquet floor and has yet to be installed.